After the Kankakee Marsh was drained and channelized in 1918 it soon became undeniable the ecological disaster man had caused on northwest Indiana. What once was known as the “Everglades of the North” was now a 90 mile long drainage ditch. As time passed fewer people were around who remembered the paradise it once was. 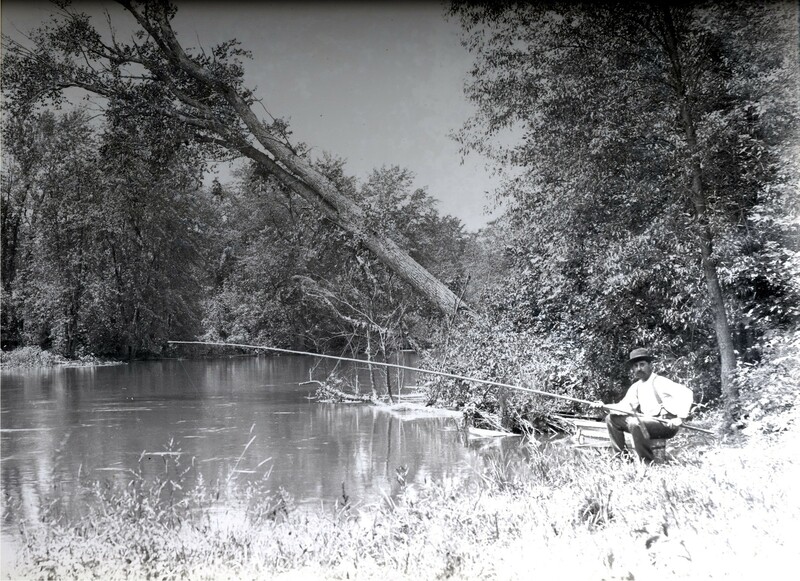 Fortunately, for us Frank Ling wrote and submitted “The Kankakee in the Old Days” printed in the New York Zoological Society bulletin in 1935. Dr. Francis “Frank” Ling was born in Hebron on March 5, 1878. Ling graduated from the Chicago Dental College in 1909 and set up dental practice in Hebron in 1911. On Sept. 17, 1913 Ling married Lulu Mae Benkie. Lulu’s father was John G. Benkie who owned property at Baum’s Bridge; one acre of which was split off where the Collier Lodge is now located. Much of Ling’s paper tells of the bounty of the marsh. I live on the Kankakee near Baum’s Bridge and am still in awe when I read about the days before the draining of the marsh. I’ve seen flocks of Sandhill Cranes; but Ling wrote of seeing a thousand at a time at a spot he called “lower crane town.” Ling told of many occasions seeing 500 wood ducks at a time. Honey harvesting was another important commodity of the marsh. Ling told that he knew of one man who found 65 bee trees in one fall. The bee hunters would cut down the tree for the honey; 20 – 35 cuttings would ordinarily produce “two washtubs full” of honey. It falls to us to enlighten our legislators of the importance to make the Kankakee wildlife refuge a reality.